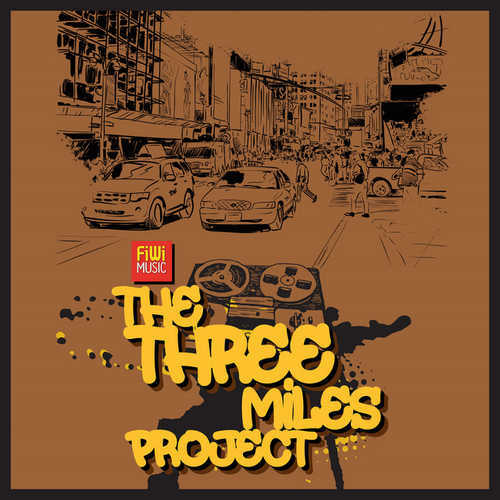 The riddim from Fiwi Music’s latest release called “The Three Miles Project EP” might be familiar to your ears as it underpinned Courtney John’s “Gone Away”, a track from his 2000 released album “Unselfish”. Laid by the Gumption Band, it’s a sublime and downright intoxicating backdrop. Fine singer & songwriter Jovi Rockwell opens the Courtney John produced EP in a great way with her conscious piece “Give A Little”. This delightful tune is candy for the ears and instantly goes on repeat. Next comes songstress Rudy aka Lady Rudy, probably best known from “Float Away”, a cut on FiWi Music’s “Old Skool Riddim”. She delivers an appealing lovers tune titled “Hello” which is a joy to listen to. Then former hit maker Ghost delivers the solid “Why” on which his distinctive vocal style comes to full expression. Lenn Hammond, nephew of a major reggae star Beres Hammond and cousin of Courtney John, has never really crossed the border into stardom. His cut “Don’t Wait” is nearly golden and shows that Lenn Hammond is clearly a very gifted and talented vocalist. Respected veteran Jamaican vocalist Tony Curtis rounds off with the pretty good lovers tune, “Four Kisses”. Do check out this release and enjoy the vibes!